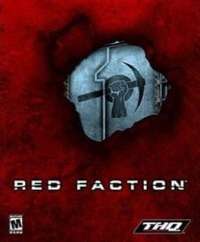 Can You Invert Controls In Red Faction? After looking through the controls menu there are a bunch of presets and even options to remap the controls, but there is nothing that allows you to change the axis for the camera. The R stick is inverted, can it be changed to be normal? Yes, it can be changed. From the main pause menu, go to the item at the top center of the screen that says "ADV. CONTROLS" this is the screen that you will be able to toggle whether the look axis is inverted or not. It is a simple yes-no field to change it.